Now located in Leonard, TX! 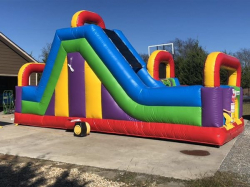 At Bigbee’s Bounce-A-Lot we strive to offer unmatched customer service and competitive prices to make your party or event a huge hit! We are a family owned business and we take great pride in pleasing our customers! 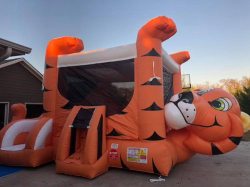 We have owned the business since October 2017 and we are very excited to continue the great tradition of excellent customer service and satisfaction that Bigbee’s Bounce-A-Lot has provided since 1999! 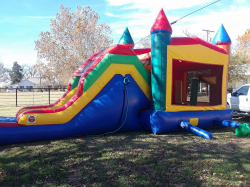 We offer bounce houses, obstacle courses, waterslides, dry slides, interactive games, and concessions. 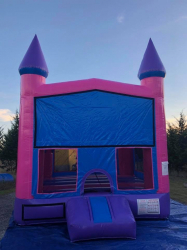 We would love the opportunity to be a part of your birthday party, church event, school event, corporate event, or any party or celebration! Click the “Get a Quote” button at the top right of the webpage to receive an instant quote and book online. We offer competitive prices and discounts are available if you rent multiple items for that big event! We also offer aggressive discounts for schools, churches, and daycares. Click on the Red “Contact Us” button above and let us know which district, church, or daycare you are with and we will send you your own personalized coupon code to use on our website when you receive a quote and book online! 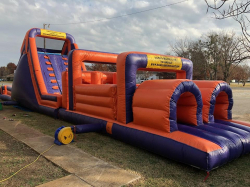 Be sure to like us on facebook at Bigbee’s Bounce-A-Lot Facebook to watch out for specials and discounts! Thank you for stopping by! Give us a call or text at (903) 624-0219 if you have any questions! ALL OF OUR UNITS HAVE CURRENT AMUSEMENT RIDE COMPLIANCE STICKERS ISSUED BY THE TEXAS DEPARTMENT OF INSURANCE (TDI). Having a compliance sticker for each ride is like having an inspection sticker for your car. It shows that we have had the rides inspected, insured, and have filed all the appropriate forms with TDI.